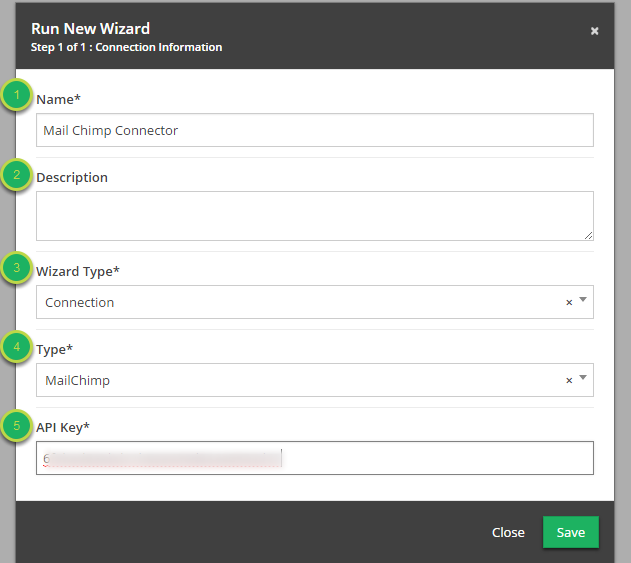 Documentation and SupportReleases Vidalia Release Notes 2016-02-09Mail Chimp Connector Now Available. Click the 'Run New Wizard' (+) button. Name: The name of the new connection. Description: Information about the connection. Wizard Type: Choose 'Connection' from the drop down. Type: Choose 'MailChimp' from the drop down. 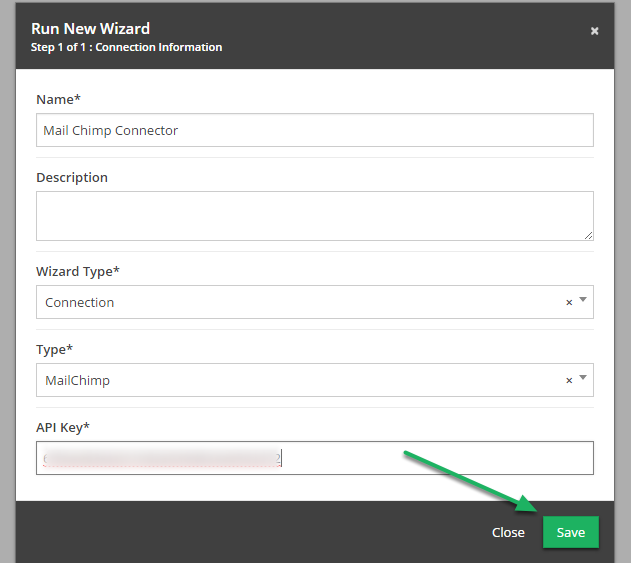 API Key: Your API Key is located in your MailChimp profile, under 'Extras'. You will receive a notification that the connection was created successfully. Prev: Conditional Formatting now available on Tables created 'From Connection'. Next: It is now possible to edit 'Keep Field' names in Pivot View configuration.